The YC beam clamp provides a quick and versatile rigging point for hoisting equipment, pulley blocks or loads and comes complete with a locking device. The unit offers flexible applications, due to the wide adjustment range. 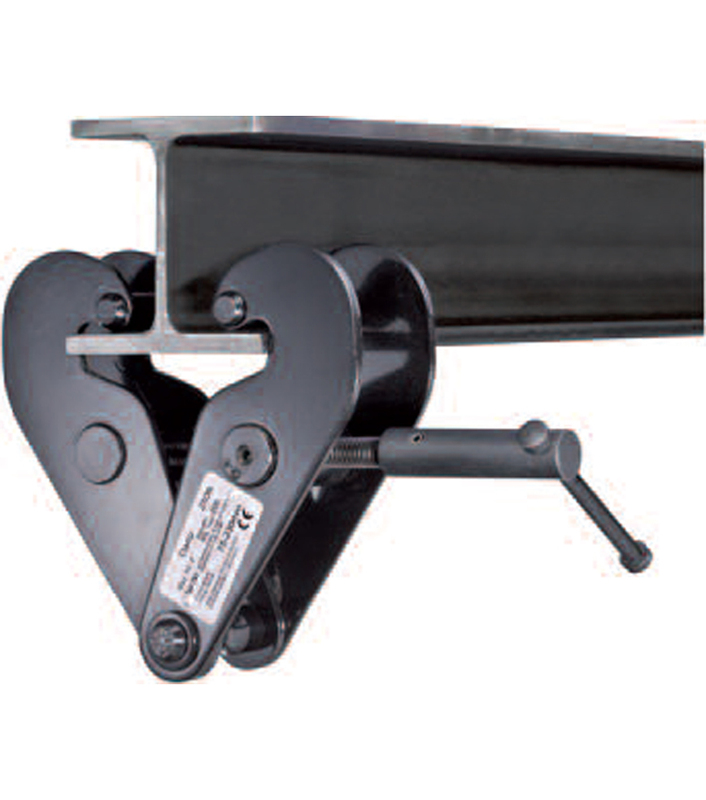 The wide adjustment range allows easy attachment and a safe and secure grip to the beam flange. NB. THIS MODEL MUST NOT BE USED FOR LIFTING BEAMS. IT IS ONLY TO BE USED AS A SUSPENSION POINT.